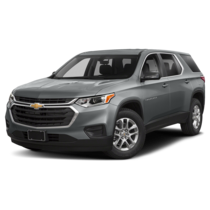 The brand new, redesigned 2019 Chevrolet Traverse was built with your next big adventure in mind. You can expect maximum comfort in style with the best in-class max cargo space, seating for up to 8, a sleek exterior and luxuriously refined interior, Rear-Seat Reminder so you never forget valuables again, and available Surround Vision safety that puts your family first. Want to get a closer look at this game-changing midsize SUV? 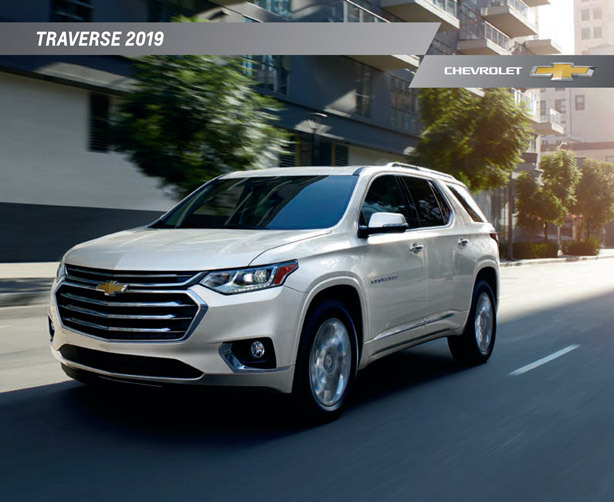 View and download the 2019 Chevrolet Traverse brochure from Graff Bay City to find trim level and engine specifications, fuel efficiency information, photos, and details on tech, safety, and convenience features. Click below to get started! Purchasing a vehicle is a big commitment and we want to help you make the right decision based on your lifestyle and budget! Get started on your hunt for a new midsize SUV online by checking out our online inventory. Our online inventory listings are updated and available 24/7, meaning you can shop at home or on the go at your convenience. If you see a 2019 Traverse you want to get your hands on, give our team a call at (989) 684-4411 to schedule a test drive. If you can’t find what you’re looking for, let us know right away! We are more than happy to help you find the perfect vehicle for your needs.